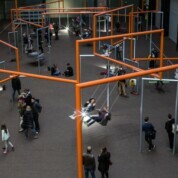 Suspended from bright orange frames that lead from the Turbine Hall out into an outdoor playground, the swings are for three people to share. 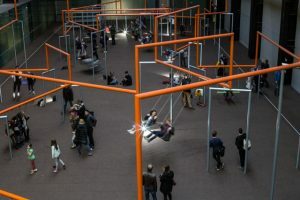 Superflex, the Danish artists behind the installation, want to prove how we can harness our collective energy to resist gravity. Try it yourself. SUPERFLEX One Two Three Swing! 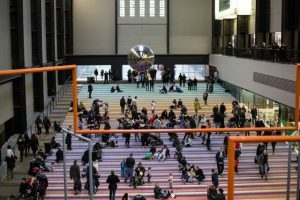 is at Tate Modern until 2 April 2018.